"This is as brave as I know how to be… please… be a little proud of me." Remember the Impossible Girl with Rigsy's touching tribute on the TARDIS as seen in the "Face the Raven" episode of BBC's Doctor Who. 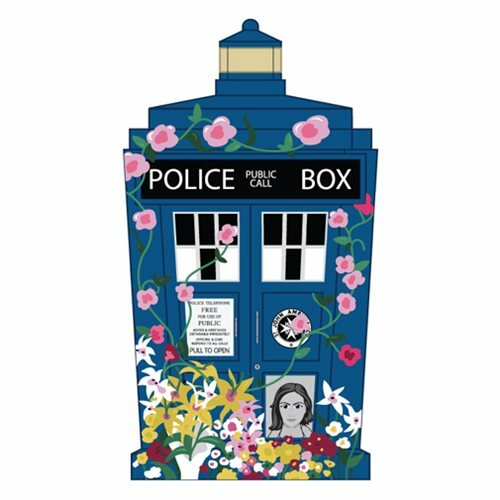 The Doctor Who Clara Tribute TARDIS 4 1/2-Inch Vinyl Figure comes packaged in a window display box and is a 2016 New York Comic Con release. Ages 15 and up.